Lay your anchor for this is the spot for The Boiling Crab menu prices. The Boiling Crab is a casual dining seafood restaurant that serves Cajun-style seafood like shrimp, crawfish, crab, and oysters. Guests are provided bibs with their meal since most of the eating will take place using hands. The fresh seafood is either steamed or boiled with a blend of Cajun spices, then the seafood is tossed in a signature seasoning blend and served in a plastic bag to preserve flavor. Expect to step into a uniquely decorated restaurant offering guests a fishing dock setting. The great tasting and affordable prices are what makes The Boiling Crab hugely popular among seafood lovers. Guests should expect locations to be busy, especially on the weekends. Below are the latest Boiling Crab menu prices. Corn On The Cob $0.75/ea. Don’t know what a crawfish is or how to eat it. Maybe King Crab is a little intimidating. Visit the News page on the official website to learn how to peel and enjoy the variety of freshly prepared seafood. For guests interested in knowing the nutritional values of the various dishes on the menu at The Boiling Crab, now they can. Guests can view or download the complete nutritional value guide by visiting the official Boiling Crab website. The Boiling Crab is always looking for high-energy, self-motivated candidates that are hard-working and want to provide a great customer experience. Interested candidates should visit the Career page on the official Boiling Crab website where they can learn more about the company, the concept, and list of current openings. The Boiling Crab first opened in Garden Grove, California in 2003 by husband & wife team of Sinh Nguyen & Dada Ngo (affectionately referred to as Yo’Daddy & Yo’Mama). Today, there are 16 locations in California, Las Vegas and Dallas. Be sure to follow The Boiling Crab through social media. 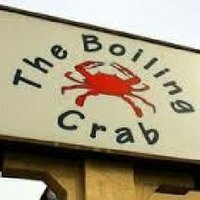 For more information about The Boiling Crab, visit their official website. Does The Boiling Crab take reservations? Reservations are not required at The Boiling Crab unless dining as a large group. Does The Boiling Crab do Take-Out? Yes, The Boiling Crab menu is available for take-out orders.